Want a more personalized playmat for your trading cards? Submit ideas for your custom playmat design or we can help you come up with something. Visit us in-store or email us at [email protected] for requests or inquiries. in line for a custom playmat, you must place a $10 deposit. 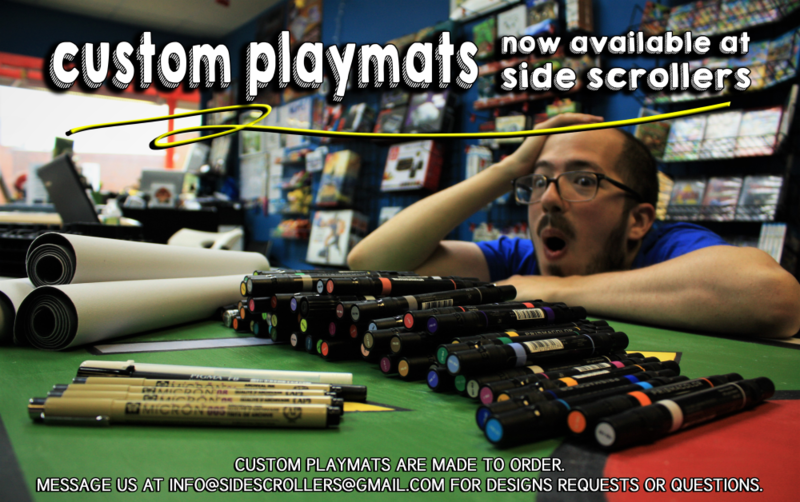 Producing custom playmats can take 1-3 weeks for processing once your mat is started. For pick-up only. Once your playmat is complete, you will have up to 10 days to purchase. If you fail to pick it up within that timeframe, you will incur a $1 fee for each day you are late. We will send status updates throughout the process.